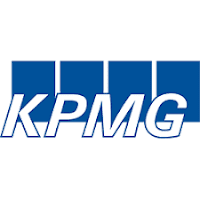 Company Overview: KPMG is a leading provider of professional services, which include Audit, Tax and Advisory. KPMG’s International Development Advisory Services (IDAS) team employs full‐time experienced development experts across Africa and on globally run programmes worldwide. In Tanzania, KPMG IDAS is a respected programme and fund manager with extensive experience in building development partnerships between private and public entities, civil society organisations and local communities; we work effectively with a wide range of clients, from global development organisations to entrepreneurial start‐ups within Tanzania and across Africa. 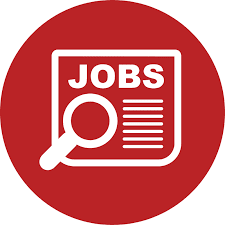 Job Description: The AcT2 Programme AcT2 is a £38m five‐year flag-ship governance and accountability programme funded by DFID, running from February 2018 to December 2022, with the possibility of a one year extension. The goal of the programme is to increase access to entitlements, public goods and services, through increasing the accountability of the Government of Tanzania to its citizens. The programme operates through making grants to approximately 15 mid-to-large local and international CSOs in Tanzania - supported by a programme of learning and seeking out opportunities to further scale up results. It has evolved from the highly successful original AcT Programme which ran from 2009 to 2016, and which broke new ground in combining outcome mapping with more conventional log-frame reporting, in monitoring the programme’s capacity development initiatives, and in demonstrating value for money of civil society governance work. It employed a partner centred approach to achieving results, wherever possible providing core funding to a grantee, to provide them with the flexibility to operate effectively in Tanzania’s complex environment. The post-holder provides high quality technical and strategic leadership, managerial oversight, and administration of the project. S/he is responsible for the efficient and effective delivery of programme results, based on the smooth running of grant management processes and effective systems for monitoring, learning and results reporting. S/he will provide strategic thinking on how to work in the complex political economy of Tanzania, respond to DFID’s emerging priorities, and contribute to wider learning about governance and accountability work. Heading up a Programme Management Team of 11 full time equivalent local and international staff, the Team Leader is the main point of contact for DFID. S/he will be responsible for developing and maintaining strong working relationships with the heads of partner CSOs, and other stakeholders, and be able to communicate AcT2’s distinctive contribution convincingly to a range of different audiences. The Team Leader reports to the IDAS Country Lead. • Understand and continue to promote learning across the AcT2 team, DFID and partner organisations about the nature of the political and civic space in Tanzania, and how to support CSOs to operate in it effectively. • Keep abreast of current development debates, their applicability to AcT2, and how AcT2 can contribute to this thinking. Priority areas currently include governance, transparency and accountability, anti-corruption, using outcome mapping, flexible and adaptive programming, and demonstrating value for money. • Accountable for the achievement of results, ensuring high quality of services are maintained, and that all project objectives and deliverables are met. • Communicate, implement and assure adherence to KPMG and project policies, guidelines and values as well as DFID’s code of conduct. • Ensure timely preparation of terms of reference for work commissioned using the Special Opportunities Facility and any ad hoc technical consultancy for AcT2. • Review the quarterly, semi‐annual and annual AcT‐2 payment by results plan to ensure it is realistic and reflects the demands on the programme. • Assess and report on programme and fiduciary risks at regular intervals and manage identified risks, including putting in place contingency plans. • Demonstrate and support effective cross-team working and skills-building, particularly between those with a programming background, as opposed to one in financial management. • Facilitate programme review and planning, training and learning events for the Programme Management Team and partners, as required. • Communicate AcT2 as a cutting edge governance programme through written communications and report writing, website content and making presentations as required. • Ensure AcT2 strategies and practices keep pace with DFID thinking in terms of programme content areas (anti-corruption, climate resilience, media and inclusion), and other DFID programmes in Tanzania i.e. human development and sustainable growth. • Ensure lessons learned during the implementation of AcT2 are documented and shared with DFID and other stakeholders, with a view to ensuring the long term value of the programme. This is a senior position which requires outstanding leadership, strategic thinking, and organisational, team‐building and representational skills. • At least 10 years of senior leadership and management experience of large bi-lateral aid programme, working in partnership with civil society to enhance service delivery. • Experience of grant/fund management, including grants to civil society organisations and the proactive management of programmatic and financial risks to secure development outcomes. • Excellent reporting and presentation, facilitation and training skills. • If necessary, willingness to relocate and be based in Dar es Salaam, Tanzania. • Knowledge of current governance issues affecting public policy and service delivery in Sub-Saharan Africa. • Experience of living and working in Tanzania/East Africa. • Some knowledge of Kiswahili, or willingness to learn. To apply for this position, please submit an up-to-date version of your CV and a 1-2 page cover letter explaining how your profile meets the requirements of this role.